As an entrepreneur, you are probably aware of the buzzword called MVP. Maybe you understand it to some extent. But do you REALLY understand it well enough to build it? Let’s see if I can help you garner that understanding. MVP, as you might already know, stands for Minimum Viable Product. Now, you might have this belief that you must take all the features you have thought of to the market at once. You want to make a big impact and for the same you want each one of those features in there. I am inclined to agree with you but I have learnt that it doesn’t work like that. Let’s say you have a set of features that are at the core of your product. 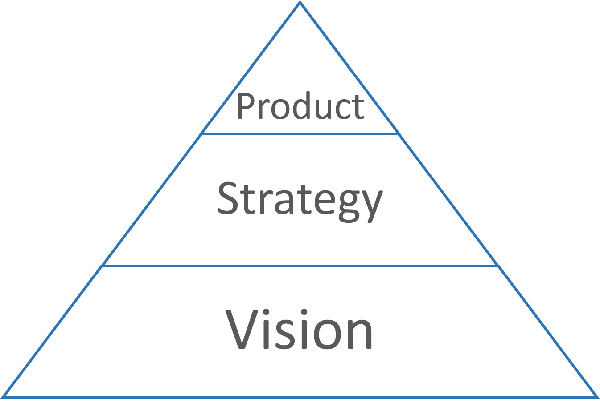 This core defines your product. This is how you set yourself apart from the competition. Or this core helps you create a new market altogether. The MVP revolves around this core. It encompasses those features that you absolutely must take to market lest your product would be non-functional. It is with this MVP that you make your first launch. Relax. I am not talking about launching a half baked, incomplete product. I am talking about having just enough features that makes your product identifiable. At this moment, you are looking for feedback from the market. You are looking at early adopters to test your product and provide you insights into what they like, what they don’t, and more importantly, what they want in addition to the MVP. This last bit helps you identify those features that would make it to your next release. Maybe you had a different feature set in mind but is that something the market is seeking. Would those features help you gather more customers? Maybe or maybe not. But the key to answering that question is your MVP. Structure your product features in a way that you can build your product iteratively (adding more layers to existing features) and incrementally (adding new features altogether). All along the way, you keep testing the market and have your ear to the ground trying to listen to what the people are needing. You let them PULL features into your product and not PUSH fears onto them. 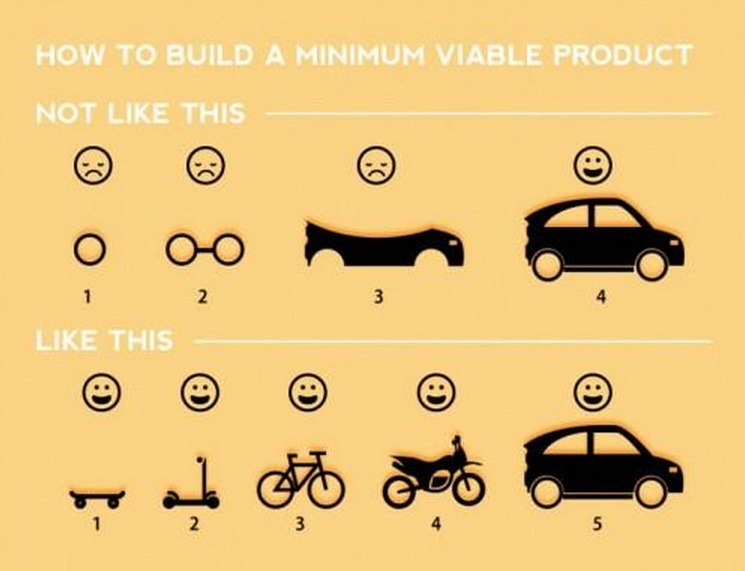 This is the essence of Lean from which the concept of MVP stems. Always look at your product with a beady eye and scalpel in hand ready to cut out the fat and trim it to what you can do with. Let the market test it out and let you know where it is thinner than it should be and where it can be cut further. In order to streamline your product development while achieving the maximum, you need to focus on the minimum. The previous part talked about growth of a startup. But an entrepreneur needs to ensure that the growth happens in an orderly fashion, quality doesn’t get compromised in the rush for mad growth. Any shortcuts committed now would speed up the process only in the short term and would slow down future changes. This is a fact known to every good software developer. If you skimp on quality now, which amounts to incurring technical debt, you would have a tough time making changes to the code later. The only solution would be to slow down first and pay off the debt by improving the quality. Once quality is maintained, the process automatically picks up pace and cruises along smoothly. Be tolerant of all the mistakes the first time. Scarce but secure resources: there should be just enough resources that the startup needs. Too much of it would cause wastage and too less would stifle growth. And the resources should not be poachable. Independent authority to develop their business: because a startup is required to carry out experiments and tune its engine, it needs full autonomy to develop and market its products in order to achieve success. Personal stake in the outcome: unless the team feels personal about the product it is building and unless its own success is tied to that of the product, there’s only a slim chance of success. Reiterating a point that was mentioned earlier in this series, a startup should focus on doing the right thing first and then doing things right. In software development, the practice of Test Driven Development (TDD) ensures that only as much code gets written as needed. Nothing more, nothing less. This blends well with one of the main principles of Lean which aims at reducing waste. 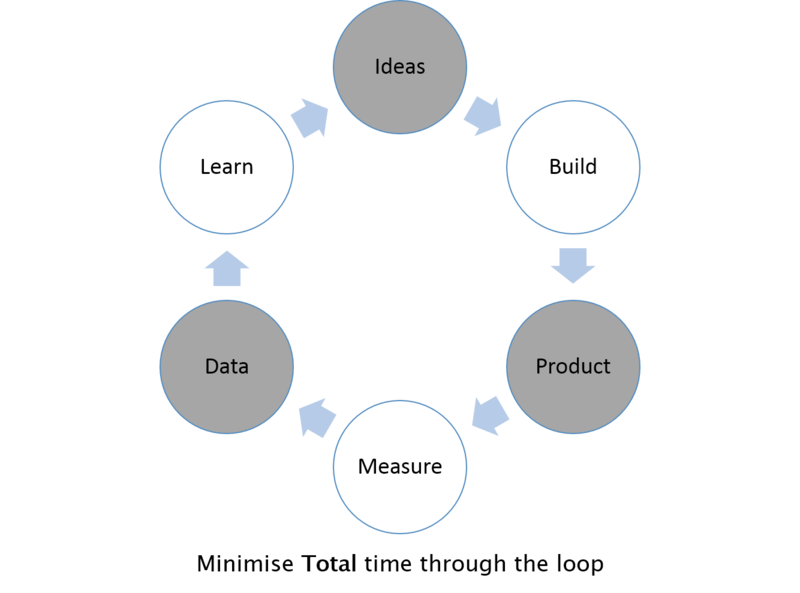 This concludes the series of blog posts on Lean Startup. Disclosure: This series is primarily based on Eric Ries’s book The Lean Startup. I have added to it my own experience with Lean and Agile as software development methodologies. The first three parts spoke about starting up your startup. This part talks about how to sustain the momentum, or better still, increase it. Lean thinking advocates small batches of production, if possible, batches of one. This is based on the principle of keeping the feedback loop short. A short loop allows production / quality problems to surface sooner. This is why Sprints in Scrum based software development are kept as small as possible. This is why user stories in Scrum are also kept small in size. Small sizes allow incremental and iterative development while large sizes tend to list towards all-at-once delivery. Word of mouth: existing customers talk to other people who buy the product on hearing positive opinion. As a side effect of product usage: other people feel compelled to buy the product on seeing existing customers use the product or engaging with existing customers while the former are using the product. Through funded advertising: advertising is paid out of the revenue that existing customers generated and this creates a positive feedback flow in terms of revenue where the cost of advertising is less than the revenue generated by a new customer. Through repeat purchase or use: some products are inherently designed to encourage repeat purchase, for example, subscription, or consumables. The Sticky Engine of Growth: this encourages long term retention of customers (makes them stick to the product). The net growth rate is calculated as the natural growth rate minus churn rate. The Viral Engine of a Growth: this depends on person to person spread of influence (deliberately or involuntarily) like the spread of a virus. Growth is measured by a viral coefficient: the number of new customers each new customer brings. The Paid Engine of Growth: this encourages maximising the returns on each new customer by either reducing the cost of acquisition or increasing the revenue. I practice Scrum / XP in the software projects I manage. As part of the same, the team iterates over sprints during the development of the project. The sprints are kept as short as possible (usually a week long) so that feedback loop is short. At the end of each sprint, the team gets feedback on whether they built the right product or not. Likewise, for a ship cruising on the ocean, frequent checks of the current route vis-a-vis the planned route are preferred so that course corrections (if any) are short. The aim is to quickly show something to the customer so as to seek his acceptance and then move onto the next iteration to add some more features or perhaps remove some existing feature based on the feedback received. Ries puts it eloquently, “…the goal of the MVP is to begin the process of learning, not end it. Unlike a prototype or concept test, an MVP is designed not just to answer product design or technical questions. Its goal is to test fundamental business hypotheses“. The entrepreneur should be careful in measuring the data lest he finds himself obtaining vanity metrics (that wrongfully depict the startup to be in a healthy or improving condition) instead of real metrics. Zoom-in Pivot: what was earlier only a feature of the product becomes the product now and other features are either abandoned or assume lesser significance. Zoom-out Pivot: the product itself is insufficient and thus more features are added to it to create a new product. Customer Segment Pivot: the product solves a real customer problem but it would better serve a different customer segment than the one it is currently targeting. Customer Need Pivot: the need being solved currently is insignificant as compared to the one that can be solved without repositioning too much. Platform Pivot: this is a pivot from selling a product that solves a particular need to let customers use it as a platform for provide similar services. Business Architecture Pivot: this is a pivot between high margin, low volume business (usually B2B) and low margin, high volume business (usually consumer products). Value Capture Pivot: a different feature can be monetised instead of the one currently being so. Engine of Growth Pivot: the company can pivot among the engines of growth – viral, sticky, and paid. This usually requires a pivot in capturing value as well. Channel Pivot: a pivot in the distribution channel of the product / service. Learning is the centrepiece of Lean Startup. So much so that the the progress of a Lean Startup is defined in terms of learning milestones and people are held accountable to the same rather than organising them in traditional departments and holding them accountable to individual responsibilities. The real motive of an MVP is to generate learning. This is because more important than building something efficiently is building the right thing. No point building a great product with a greater process that no one desires. Thus learning helps in validating the hypotheses the entrepreneur makes when building his product. This product is refined based on the feedback generated from the market through the use of MVP. In the face of this feedback, which might not always be positive, the entrepreneur, might have to decide whether to continue to work on the same product or choose a different strategy. But such decisions are less frequent than the tuning done to the product. Even less frequent, if at all, are changes to the overarching vision with which they set out to become an entrepreneur. Not just startups but even existing organisations need to learn and innovate continuously in order to maintain their competitive edge or gain one. In this ever changing technological landscape, such edges get eroded very fast. Consider Blackberry that had long enjoyed the image of a premium, enterprise mobile handset company. It had two major advantages over its competitors: push mail service and Blackberry Messenger. With the rise of smartphones and their numerous apps, both these advantages were laid to waste. The result, Blackberry’s share in the market, which has already reduced to a minimum, is shrinking rapidly. The company is desperately looking for someone to buy it out but nobody wants to. There is a trap in trying to learn what customers want. An entrepreneur should be able to distinguish between what the customer is asking for and what he really wants. This is because a lot of times customers don’t know for sure what they want. Identifying the real wants and working on the same causes the startup to grow and evolve. This is what Ries calls Validated Learning. All the above is based on the cornerstone of experiments. I had read somewhere (I think it was Stephen Hawking’s “A Brief History of Time”) that an experiment cannot be considered a failure if it disproves your hypothesis. It’s a failure when it is inconclusive. Therefore even if the product fails, the experiment is still a success because we know what the customer doesn’t want. Now, how to structure the experiment, the hypothesis. Ries considers two hypotheses to be structured: value hypothesis and growth hypothesis. Value Hypothesis tests whether the product / service being built would actually deliver value to the customer. This hypothesis helps in answering the question would there be customers (early adopters) who would buy the initial versions of the product (MVP) and find it useful. Growth Hypothesis tests whether the product’s purchase and usage would spread from early adopters to the masses. This helps in answering the question would the business grow from the initial success with early adopters. Most of you would be aware of the term “Lean”, thanks to its overuse by a lot of organisations these days (and some slimming centres too). Startup, again, is not an unfamiliar term as every new tech company calls itself a startup. However, what you might be wondering is “what is a lean startup”. It isn’t a startup with very few employees (as almost all of them already are). It is a startup that has been founded on the principles of Lean and following an MVP (Minimum Viable Product) based approach to starting-up. Wikipedia describes MVP as “a strategy used for fast and quantitative market testing of a product or product feature“. Also mentioned alongside is the name of Eric Ries. For those familiar with startup landscape, Ries is a celebrity. He is said to have popularised the term MVP. Some attribute the term entirely to him. Now this is in stark contrast what some of us might think or have even experienced. Startup success has been considered enigmatic, even elusive like a mirage. But here is Ries claiming that there is a definite process to it. This gives the impression that it can be synthesised as if in a Chemistry lab or manufactured as if on an assembly line. But what gives him that confidence to make such a bold statement. He attributes it to the concept of MVP or in his words, “the build-measure-learn” feedback loop. Through this loop, the entrepreneur builds a bare minimum product in order to test his assumptions / hypotheses, measures the reactions of customers thus validating / invalidating the hyotheses, and generates learnings in the process. Ries considers anyone who fits the following definition as an entrepreneur: “a human institution designed to create new products and services under conditions of extreme uncertainty”. A person doesn’t necessarily have to work out of a garage to be one. Even a startup requires management, in fact, more than traditional organisations because a startup might have bigger and frequent challenges. However, traditional management is not of much help here and one needs to think out of the box that various business schools have created. Ries defines this as the single most important measure of progress in a startup. The startup iterates through multiple failures to arrive at success and, in the process, gains invaluable lessons that help it in the next iteration. This learning is validated by its customers who either accept or reject its products / services. As boring as accounting may be, its importance for startups cannot be overstated. Measuring progress, defining and tracking result metrics, setting up milestones are all tasks that an entrepreneur needs to fulfil zealously. Startups must continuously churn out products, measure their acceptance with the customers, and incorporate their feedback so as to either turn their strategy on a sixpence (pivot) or continue to push harder (persevere).